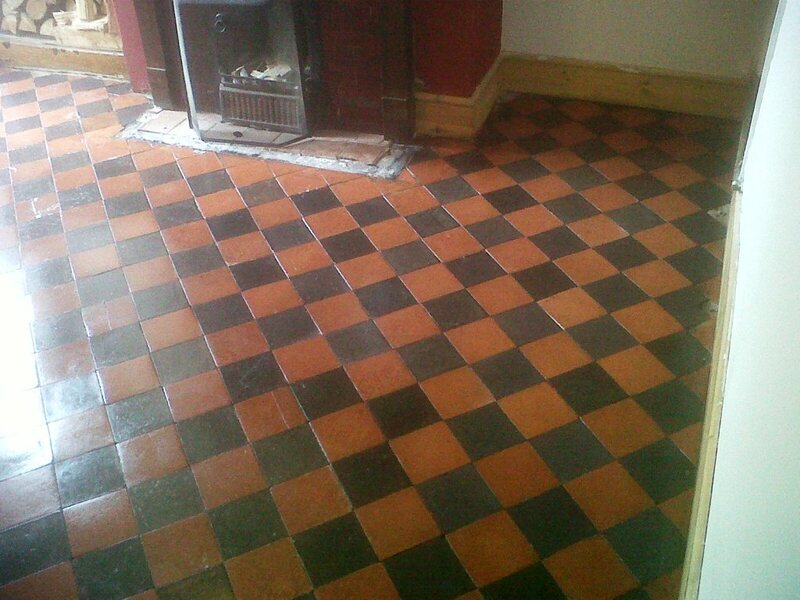 Here’s a job I recently completed in the heartland of the English pottery industry, Stoke-on-Trent. 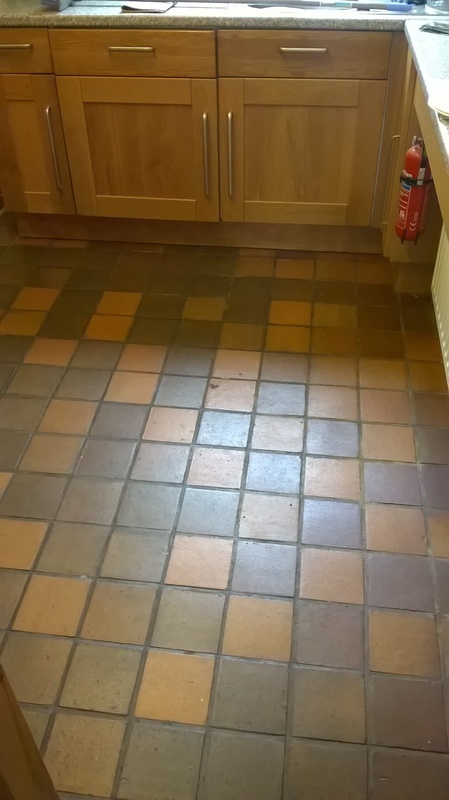 In this particular instance I was commissioned by my client to restore the appearance of the Quarry tiled floor in her kitchen which as you can see from the photo below was far from looking it’s best. 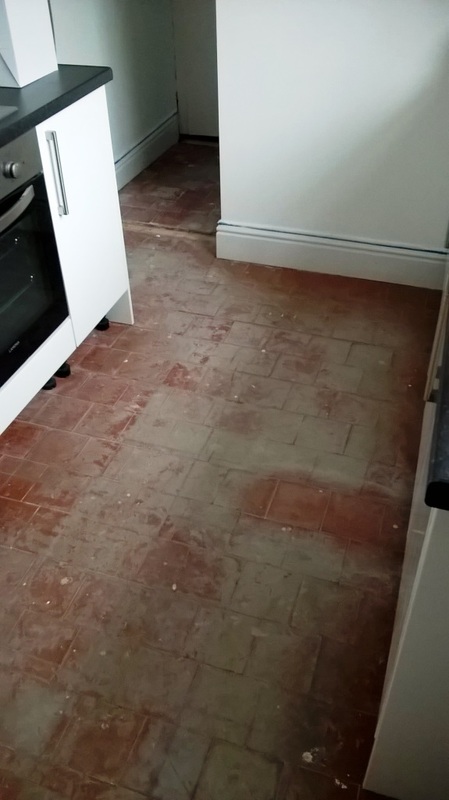 Quarry tiles are typically a very hard wearing stone, but in high traffic areas like a kitchen, even this type of tile will require regular maintenance. My first task, before beginning the restoration, was to remove the kickboards from around the bottom of the kitchen units, to prevent them from being damaged during the process. 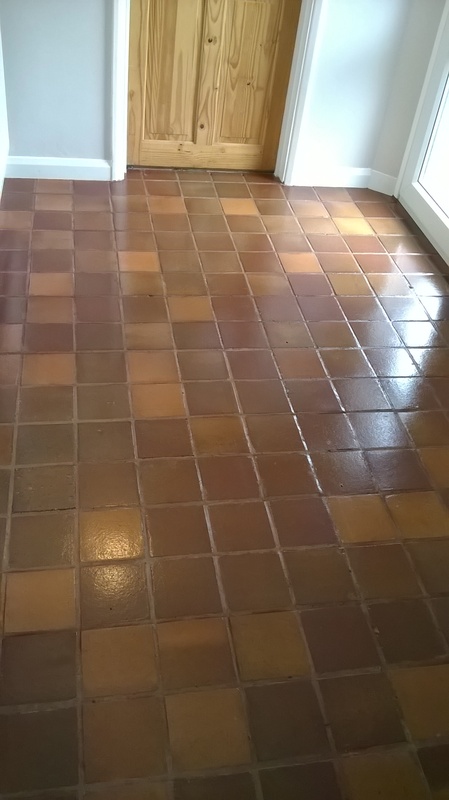 The next step was to acid wash the tiles using Tile Doctor Grout Clean-Up which was scrubbed into the tiles to remove old grout and plaster that had become stuck to the surface of the tiles at some point in the past. 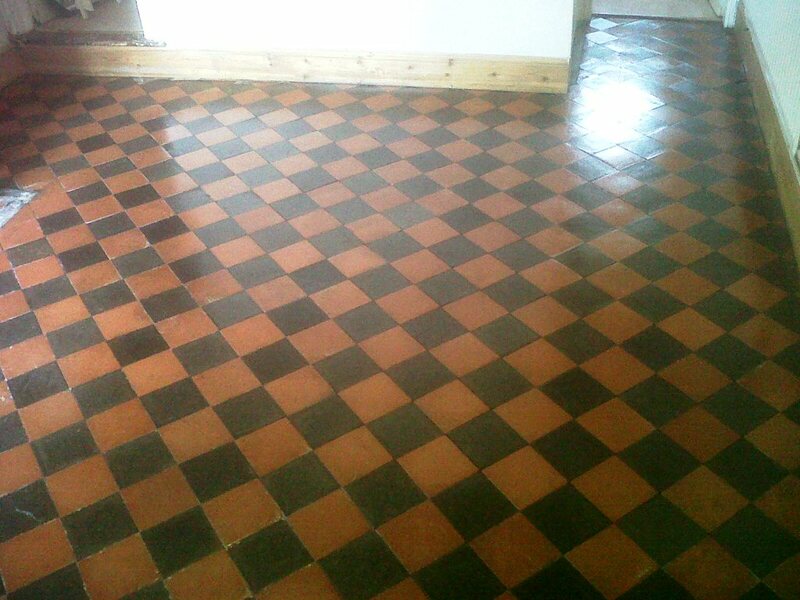 Once this had done its job I rinsed the entire floor with water washing away the excess soiled residue and any trace of acid. 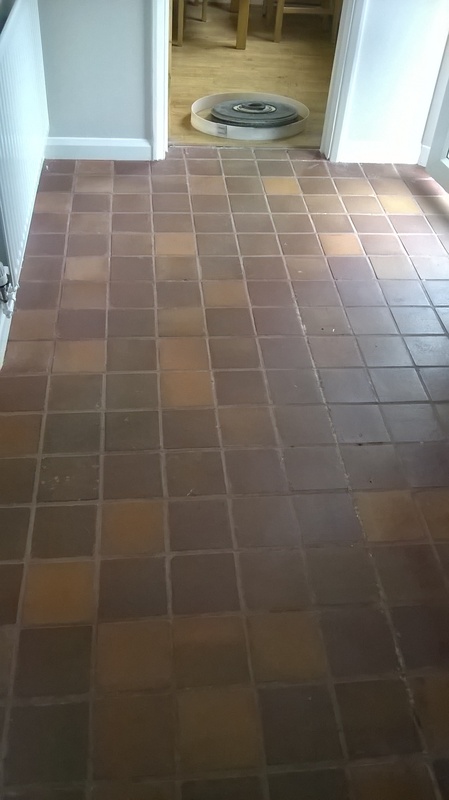 The next step was to give the tiles a good clean using Tile Doctor Pro Clean, which is a high alkaline cleaner suitable for use on a range of natural stone floors. 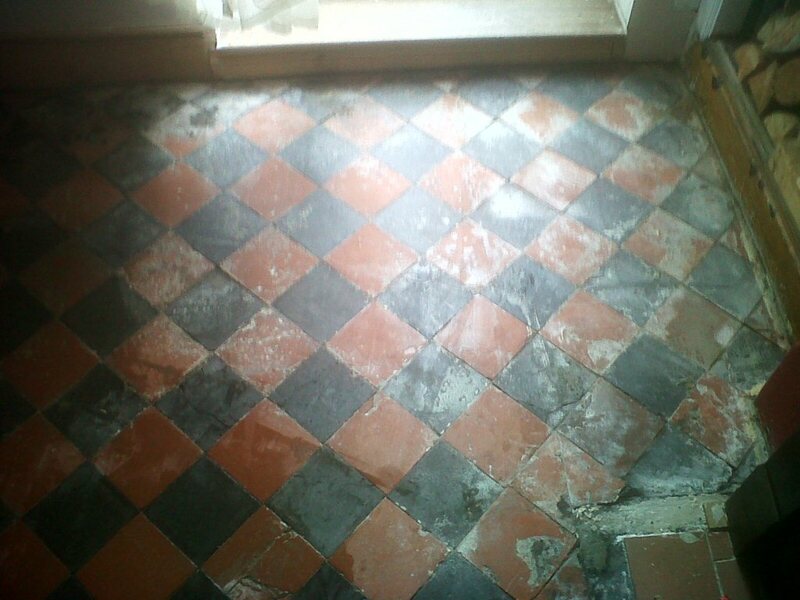 This was left to dwell on the tiles for ten minutes, allowing it time to seep into the stone to get underneath – and lift out – the ingrained dirt. 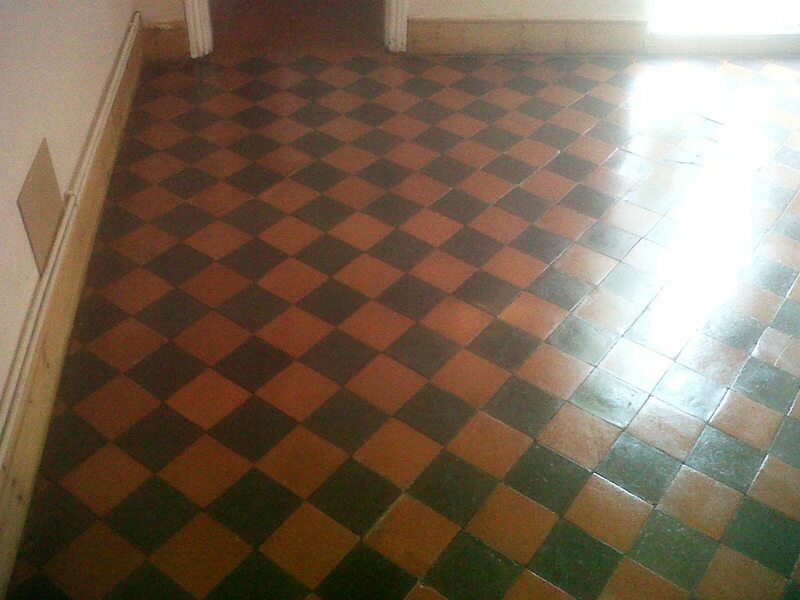 I then agitated the solution with a scrubbing brush to remove the muck from the surface of the tiles. 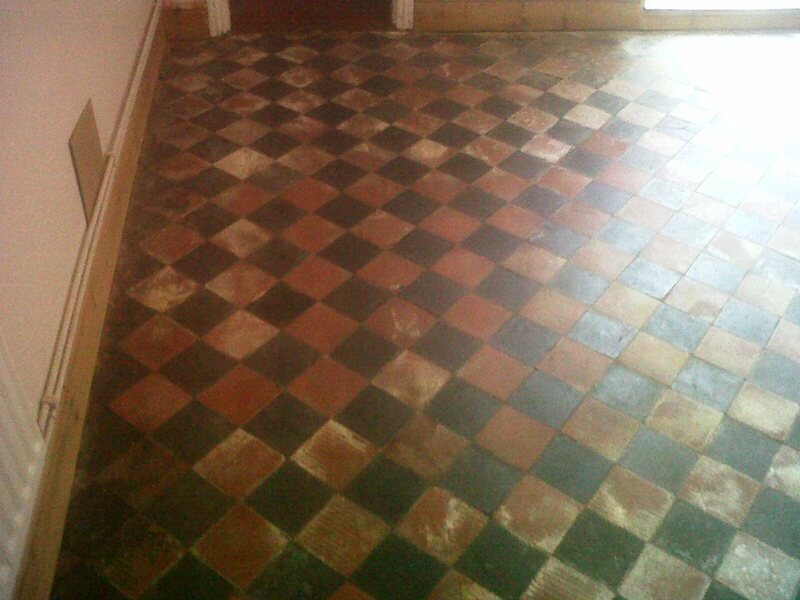 The floor was then given another rinse with water, and this was extracted using a wet vacuum. I left the floor to dry after cleaning for more than 24 hours, making sure that it would be ready for sealing the next day. 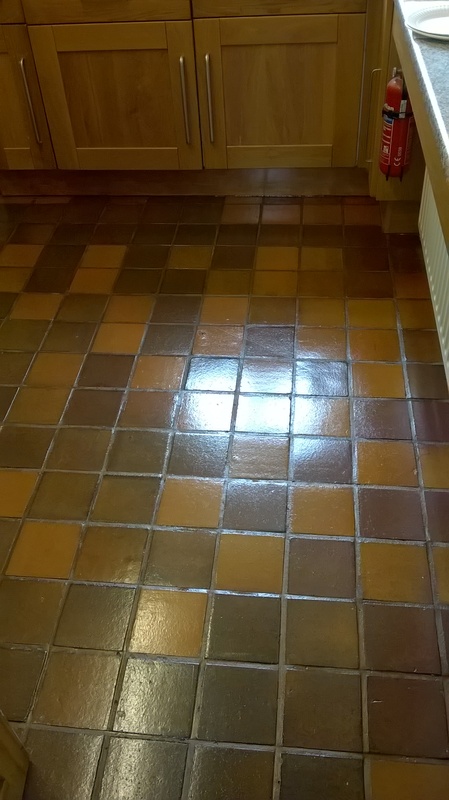 Upon my return to the house I checked the floor was dry and then sealed the floor using four coats of Tile Doctor Seal & Go, which provides a robust surface seal and a durable low-sheen finish. 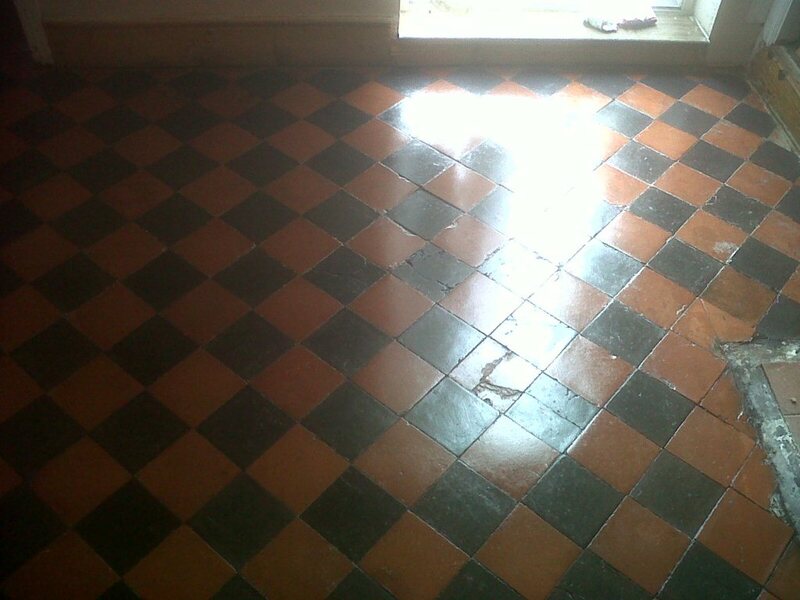 The product is suitable for use on internal, unsealed, porous surfaces. 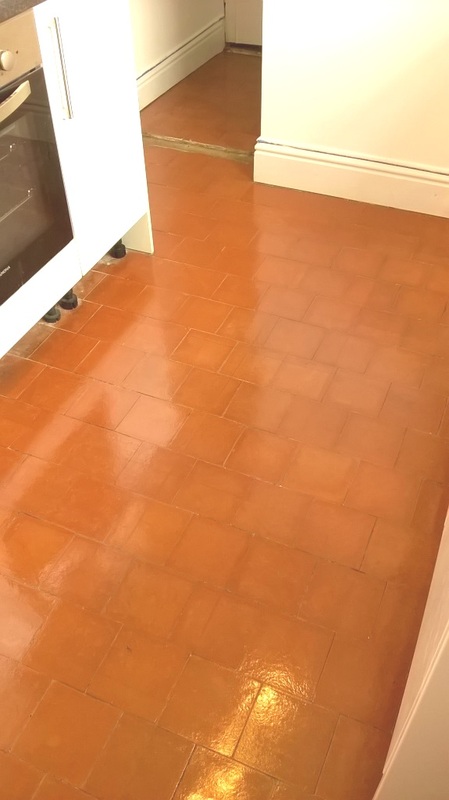 The photographs above bears witness to the massive improvement which has been made to the quarry tiles, which has not only completely transformed the look of the tiles but also the appearance of the kitchen.